As some of you may have noticed we have added two more members to the admin team, desertstorm and adams 24. Both of these guys have an extensive knowledge of our beloved B platform, and we are very pleased to welcome them aboard the good ship Admin. 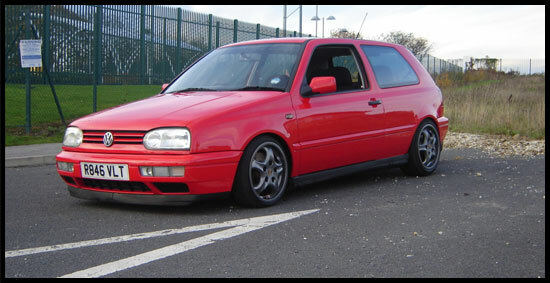 We have also managed to get a couple of new site sponsors to join the site, First off is Euro Car Parts. Regarded as Britain’s largest parts supplier, I am sure most of you home mechanics, along with the professionals, will have heard and hopefully already dealt with Euro Car Parts. If however you have not, or if your car is need of some replacement parts why not take this opportunity to make the purchase. As well as a constant 25% to all UKP members, Euro Car Parts will also post deals and special offers in their own section on the forum. To go there now, click the banner below. Next up is Parts For Euro. If you are after that something a bit special for your beloved pride and joy, Parts For Euro may just have the part. Again, with their own section on the forum, this will be constantly updated with offers and discount codes. So be sure to keep checking back with them to see what is on offer. Another great offer this month for you lucky people, is brought to you from Skytag. Skytag GPS tracker is an exciting new, comprehensive stolen vehicle location service that can locate and track your vehicle anywhere in Europe, within meters. Skytag's Monitoring system is the only system to provide direct Police access to live, real time location data. This unique feature speeds up the recovery process and enables the Police to monitor the vehicle from a distance, reducing the chance of a high speed chase and damage to your vehicle. Skytag have offered an introductory price of £249 including three months subscription. For more details click o the banner below and read away. Well that just leaves me to say, on behalf of all of the Admin team here at UKP, "Merry Christmas & a Happy New Year", and hope to see you on the forum soon. November saw jonniequest take the UKP car of the month title. After a string of unfortunate events lead jonniequest to his B5.5 wagon. It didn't take him long to start tweaking his motor, and decided to use this car to cut his teeth on spinning spanners. 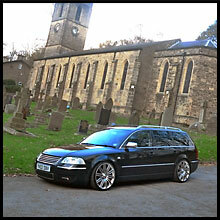 A shaved boot, 312mm brake conversion, BMW rims shoe horned under the arches, de badged grille and a dash of running lights, make this hearse one to be matched. The nominations for December Car Of The Month have begin, click here to make your voice heard.